We offer functional and attractive ways to protect, display and promote your products with blister cards and printed lidding for patient compliance. Blister cards offer benefits, including product protection, brand promotion and additional copy space and convenient sample packaging. 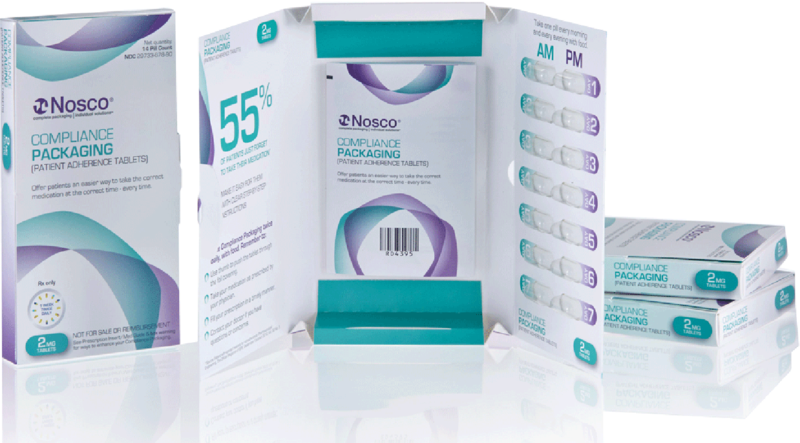 For products requiring child resistant, senior friendly (CRSF) packaging, Nosco offers F=1 compliant options. Reduce costs with Nosco’s in-line heat seal application.